Public sector organizations are facing unprecedented problems due to the influence of population ageing, globalisation and the public deficit crisis facing developed nation economies. 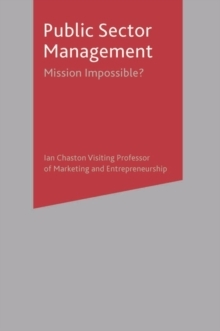 Public Sector Management: Mission Impossible offers a contemporary and stimulating assessment of the challenges facing these public sector organizations. Most public sector management theories evolved during the economically stable second half of the 20th century and need to be reconsidered in an increasingly uncertain world. 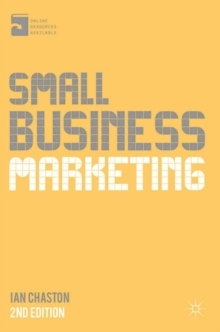 Taking an innovative new approach, this book uses both theory and case material to examine how development of strategic plans driven by entrepreneurship and innovation can assist public sector organisations implement solutions to sustain delivery of most or all of their service despite facing major budget cuts. The book is accompanied by a companion website featuring over 300 powerpoint slides for lecturers. Public Sector Management: Mission Impossible is an essential resource for final year undergraduate and postgraduate students studying public sector management and MPA students. 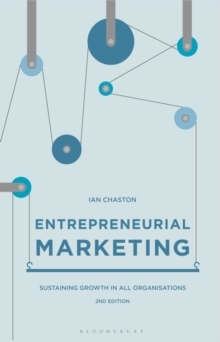 IAN CHASTON taught marketing and undertook research in entrepreneurship at Plymouth Business School. 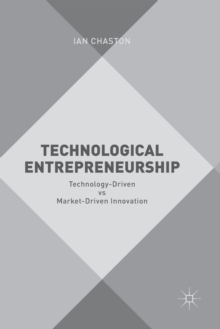 He also founded the University's spin off company Moustraining Ltd which researches on-line learning applications to reduce higher education delivery costs. 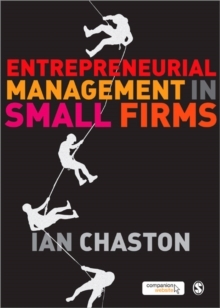 Ian has led projects on entrepreneurship for Government agencies and Universities in the UK and overseas. Currently he is a Visiting Professor at Centrum Catolica Business School in Peru. Pages: 352 pages, 352 p.